The answer for those who prefer a simple service at a reasonable cost. 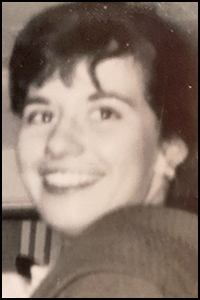 SURRY Geraldine (Jerri) Lee Rand-Cook, 76, of Surry, Maine, passed away at her home October 8, 2018 with her children by her side, after losing her battle with cancer. She was the daughter of the late, Cecil Rand and Marian Rand- Philbrick. She was born in Portland, Maine, July 4, 1942. Jerri was predeceased in 2016 by her loving husband of 55 years, Donald L. Cook Jr. She was also predeceased by her granddaughter, Cheyanne M. Jorge, and her sister, Cecilia Berwick. She is survived by six children, Robert D. Cook and wife, Carol of Surry, Maine, Sharon Herrell- Rudd and husband, Steven Rudd of Wasilla, Alaska, Dorothy(Sparky) Cook and partner, James Hillock of Ellsworth, Maine, Gerald L. Cook and wife, Penny of Henderson, North Carolina, Angela J. Cook and partner, Denise Hook of Big Lake, Alaska, Joy Ann Jorge and husband, Anibal Jorge of Wasilla, Alaska. Jerri is also survived by 12 grandchildren;16 great-grandchildren; her sister, Clara Lawrence; seven nieces, and two nephews. Jerri lived and graduated from the Hinckley School June 1960, and met and married Donald February 1961 in Bangor, Maine, and inherited a 8,6, and 2 year old! She was a loving wife, mother, and friend. She enjoyed watching the cooking and gardening shows. Jerri was well known for her blueberry and apple pies! She supported Donald, in all his endeavors, since she was a young bride of eighteen. He came home one day, and said, “Jerri, I want us to move to Alaska!” They had many adventures together, from mining for gold, fishing, camping, and traveling extensively throughout the world. Jerri truly loved talking to everyone she met. No one was a stranger to her, and her home was open to all. In lieu of flowers, the family would like a donation made in Geraldine’s name to the Cancer Research Society. We shall miss you, Mom. Thank you for loving us, supporting and encouraging us to be our best. PLEASE NOTE: All condolences will be reviewed before being published. Your condolence may not appear for 24 -48 hours after you write it.